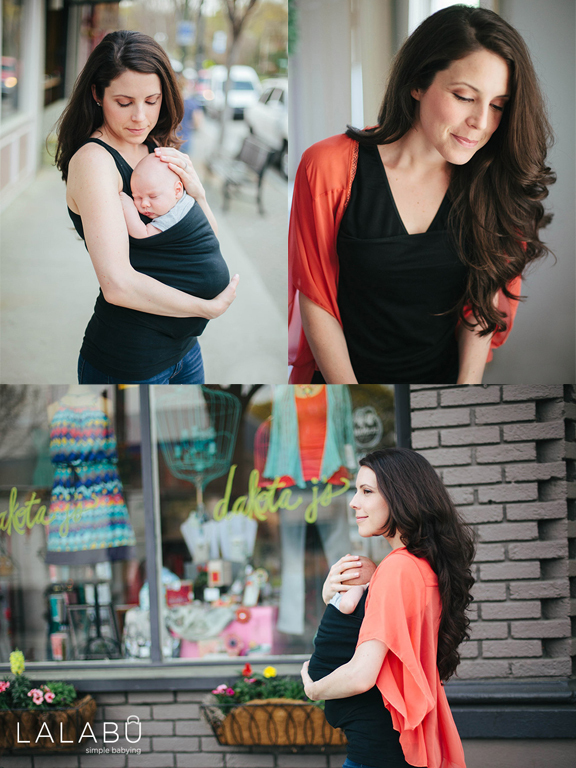 When I was pregnant with Simone, I discovered (through a sweet reader) the Lalabu Soothe Shirt. I was head over heels with the idea and couldn't wait to get my hands on one. The Soothe Shirt has no ties or straps - simply wear it all day like a shirt so it’s always there when you need it. The secure pouch calms newborns and the built-in nursing bra makes breastfeeding easy. It's pretty ingenious. 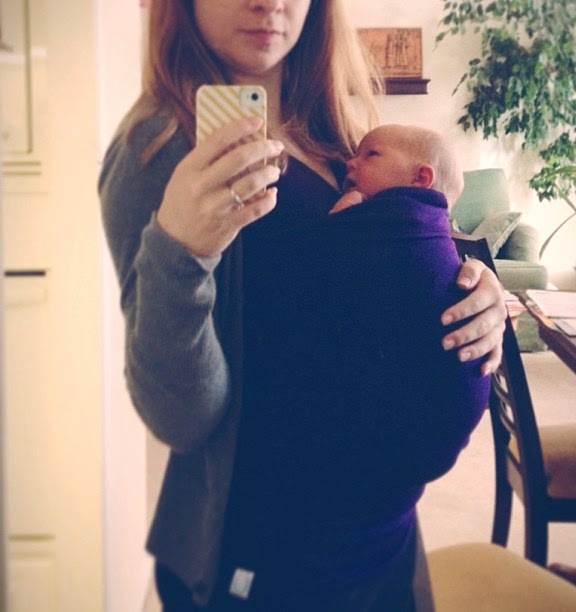 Simone and I used this thing for the first 8 weeks - and I actually cried when she was too big for it (which happened sooner than I hoped because she's a big baby). If you are thinking about having a baby, pregnant, have a newborn, or think you'll have another baby someday, you are going to want one - I promise. Lucky you, Lalabu is offering a soothe shirt to one lucky winner (open to US residents only). • Visit Lalabu & tell me what color you like best and leave a comment (with a valid email address). • Bonus entry through Instagram. Find the details here. The Giveaway ends on Friday, March 7, at 10 PM (Central Time). I love it in black! I would love to give the Soothe Shirt in Pure Black to my best friend who's expecting. Pure black, basic is perfect! I'm due with my second in July, and this will be perfect! I think I'm going to go with black. Can't beat a classic! I love it! So sweet. I'd have to go with the black one. Thank you! I am due in September and would love this for baby#2. I think he/she will be worn a lot as I'm chasing after big sister. I would love the pure black! I would have to go for the black one. What a great invention! This is brilliant! I love the basic black - goes with everything and anything. in black- for my first baby due March 27! What a brilliant idea! Love the colors, the black would go with anything! I am due any day now and would LOVE one of these! I think I would like the black color best. Black seems most versatile. Love it! Definitely the go-with-everything black! Why don't I have one of these yet? I will definitely keep them in mind. Thanks for the giveaway! I am having my baby in less than a month. This would be amazing! I would love the black--it goes with anything and everything. I would love the black! I'm pregnant with #3 any day now. Could use one to help me keep up with my other kids! Black would be my pick. So, so excited you're giving away one of these! I've totally been coveting this since your instagram photo with Simone. Baby Boy #4 is due next month, and I hear the black calling my name. jenloorz at earthlink dot net. Thanks so much for presenting this opportunity! Black would be perfect at hiding all the messiness of those first newborn weeks, which I relish to experience again with our second, due this July! This shirt is fantastic--ingenious design! anniekmccarty (at) hotmail (dot) com. Our second peanut is due on Cinco de Mayo, and I would love to have this in pure black. Awesome! I'd go for the black one...or maybe rich purple! Having my second child in May, rich purple is what I would choose. I would love this in black!! I'm a first time mom due August 29th. I know I will use this like crazy! They black is nice, but I'm going for rich purple! My sister-in-law will love this! Love it in black! I'd love this since I'm expecting in August. I like the rich purple. I am having my first baby in about a month and love the idea of this! I like black the best! I would like the black! Why did I not know about these when LO was super tiny? Can't go wrong with Pure Black. I'm due with number 2 in June, and I had no idea these shirts existed...how awesome! I would choose pure black.